In this post (and video) we want to answer for you some of our most asked questions when it comes to Facebook. First, let’s start with basic social media tips that apply to any social network you are using for business. It’s these methods that even advanced social media users forget on occasion. Make sure your social profiles are complete and up to date. See which social networks are you being searched on? Quick tip on how to do this — head over to Google and type in your name. From there, take a look at where you are popping up. Take note of this and then visit each profile to make sure all of your information is filled out and up to date. This includes updating your information if you’ve added anything new that people would want to know. Cross-promote your social media profiles. Also, don’t forget to include your social profiles in your email signature. You might be surprised by how many people you correspond with via email and are not connected on social media. Check your email contacts for new people to connect with, and do this here n’ there. If it’s been a few months (or even a few years) since you last checked the contacts in your email, for new people to connect with on social media, now is a great time to do it. This is as fast and efficient way to ensure that you are creating a great circle (network) throughout the social media platforms you might be using. Now, let’s talk about Facebook specifically. We believe that you can build a 6+ figure business with Facebook alone. So, although we shared with you some social media tips above on how to maximize your visibility – don’t get stuck there. It is so easy to hear that ‘Jane Doe’ is crushing it over on Instagram so you should go there too! Right? 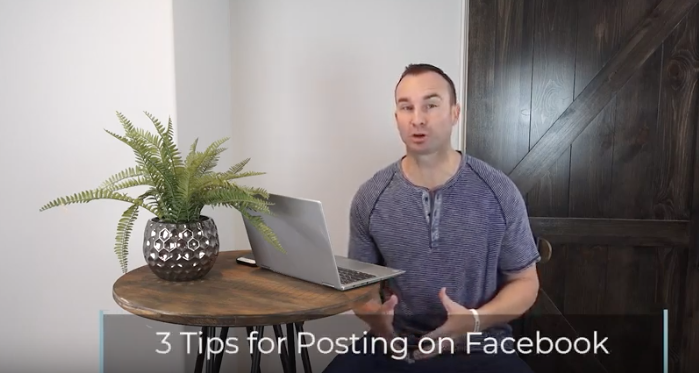 If adding another platform to your portfolio before running Facebook like a well oiled machine is costing you more time … KNOW that it’s also costing you money (business). Answer: We recommend at least 3 times a day. Based on your time zone, we recommend somewhere between 8:30 – 9:00 am, 2:00 -3:00 p.m. and 8:30 – 9:00 p.m. We have found these are our best times for engagement overall. Answer: Stay away from Fridays and Saturdays. These are days we’ve referred to as ‘dead days’. It is generally where there least amount of engagement occurs – especially for business related posts. Question: What type of Content should I be posting? Answer: Try to tap into more generic content. This means, avoid where possible including anything with a company name and/or product names. Get creative, review the best practices for creating curiosity posts, etc. So, next time you create a post ask yourself, ‘does this fall into any of the 3 categories?’ and, go from there. Overall, we hope you found these social media tips helpful – specifically for Facebook! We always love your feedback, questions, comments, etc. So, be sure to stop by the comment section and let us know if these tips were helpful and what else can we do — TO SERVE YOU!